My name is Mrs. Adeola, a star 4 consultant with Kedi. I met a man whose name is Mr. Salami (08035749789) he has been married for over 8 years now. I invited him and his wife for a test at our training center, though the day I invited them for the test they were in a hurry to go but I encouraged them to wait. After the test, they discovered that she had gynecological problem and hormonal imbalance. The wife was told to use Gynapharm and Golden Six and the husband was told to use Vigor Essential and Golden Six. After 12 days of using the Gynapharm, the woman started using Golden Six too. All thanks to the Almighty God, few months later she called to inform me that she will be having her baby in June. I am a member of the Nigeria Police Force attached to Ebonyi State Command. I came for a Promotional Course at Ikeja, Lagos, and fortunately I met with a Kedi Distributor who introduced Vigor Essential, Revive, and Reishi to me. I bought the products and also bought Reishi for my wife. To my surprise, my wife got pregnant and on the 23rd of June, 2013, she gave birth to a very beautiful baby girl after 12 years of marriage. I have been billed for an operation to cut off hemorroid of 2 - 3 inches. This ailment caused me so much pain. I hardly sit down, and insomnia became my portion. I also vomit anything that I eat and my skin lacked moisture. I recovered my health the moment I was introduced to Constilease. Operation was cancelled. It was a miracle, I can now sit down, sleep very well, and eat without vomiting. My skin is also regaining moisture now. I am so excited. 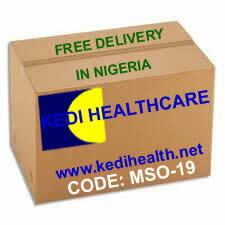 I am a distributor in Kedi Healthcare, and for a very long time been having problems with my eye. I find it hard to read anything written in small letters I was worried and was planning to go and see an Optician for an eye glasses. When Kedi Refresh Tea came out for sales, I decided to use the product for a few times to see if my sight would improve. To my greatest surprise, all my children books that are written in tiny letters are bold and clear for meto read now. My name is Mrs. Olayanju Esther Dupe, and I am in my mid fifties. I was introduced to Kedi by a friend who told me the business is woth doing compared to the former network we were in before. So I joined Kedi Healthcare early 2011. Last year April, that is 2012, I was in my bathroom for a bathe when I fell and hit my chest on the floor. Since then, I have been having serious pains. I went to the hospital and it was discovered that I have a lump in myright breast. The anxiety of the news added more to my problem. I was worried that at my age I might end up having breast cancer, but I rejected that thought and decided to test Kedi product. Whether you are looking for a tested and proven method of creating wealth, or proven, tested, and trusted method of solving health challenges, then Kedi Healthcare is your best place. I had an operation long ago due to the enlargement of the testicles. The operation was successful, but after sometime, the inflamationbegan again and I was so confused. My meeting with a Kedi Top Distributor who introduced me to Kedi Vigor Essential was divine. I experienced changes when I started using the product, and I am relieved now. I came in contact with a man whose 85 year old mother has been suffering from Chronic Ulcer for many years. They had tried so many products without improvement until I introduced them to Gastrifort. The man did not show any keed interest to purchase the product for his mother at first, so I gave him 1 jar of Gastrifort on credit for a try, and I said to myself- 'a single try will convince him'. He later came back to pay me and also purchased more products for his mother. The mother is a free person now. A girl was having too much of dark blood and pains during mentruation. I gave Reishi to her and the whole problem is over now. Kedi products are super and excellent! When I joined Kedi, I took all the products except Revive which is meant for men only. Today, I feel wonderful, fulfilled, happy, and also proud to be part of Kedi Network. I waw diagnosed to have an oral infection in the right part of my mouth. I went for an oral surgery but I was still uncomfortable after the surgery. I registered as a Kedi distributor and was priviledged to take Golden Hypha. There was an instant relieve in my mouth after taking this product, and since then my mouth has been in perfect state of health. Thanks to Kedi Golden Hypha. If I had known about earlier before now, I would not have needed any surgery. I am now a Kedi Ambassador.